All our teachers are highly qualified in their particular school of yoga or pilates, and are backed by recognised authorised bodies such as Yoga Alliance and The British Wheel. 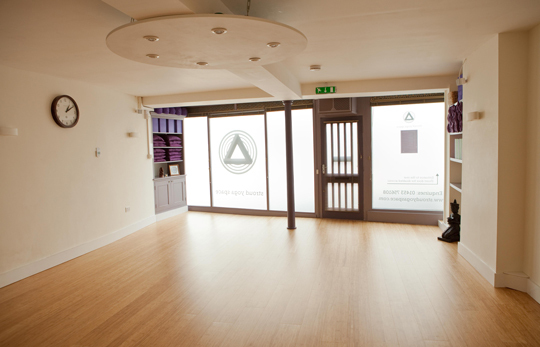 We have two beautiful studios, both with room for 12-15 people for a yoga class, and All have bamboo floors with underfloor heating, plenty of light and a spacious calm atmosphere. 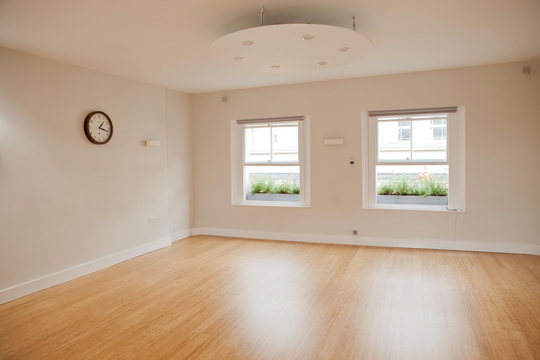 The studios are available to hire for Yoga, Pilates, Meditation, Dance and other movement classes, Singing and music workshops. The Sun studio is a nice light space for photographic work and has great acoustics. Each studio is equipped with yoga mats, blocks, chairs, belts, bolsters, cushions and blankets for your support comfort and relaxation. It is also possible to hire the studios for workshops on Saturday afternoons, Sundays, and some other time slots during the week should they be available.